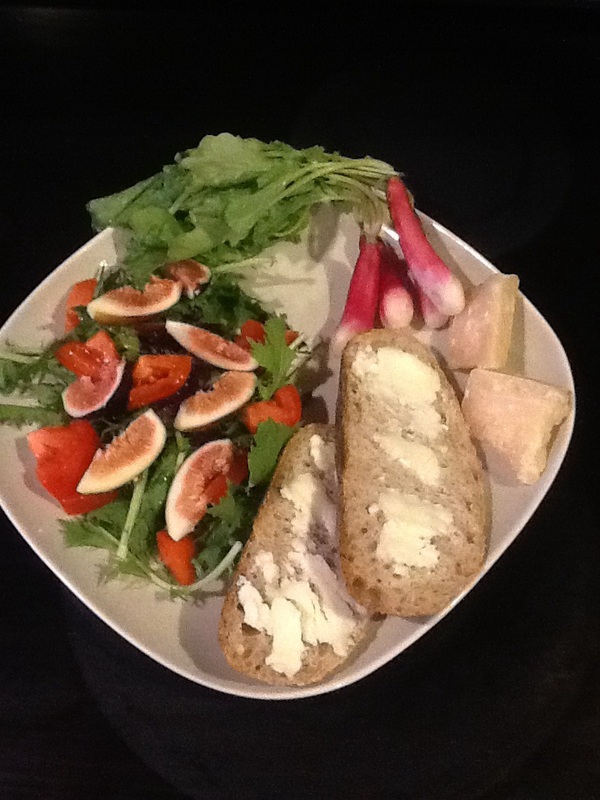 Frog Song’s radishes, mizuna, and basil, with our own figs and bread and cheese. So excited to have a box of good veggies waiting for me at the Winter Park Farmers’ Market this morning from the good folks at Frog Song Organic. 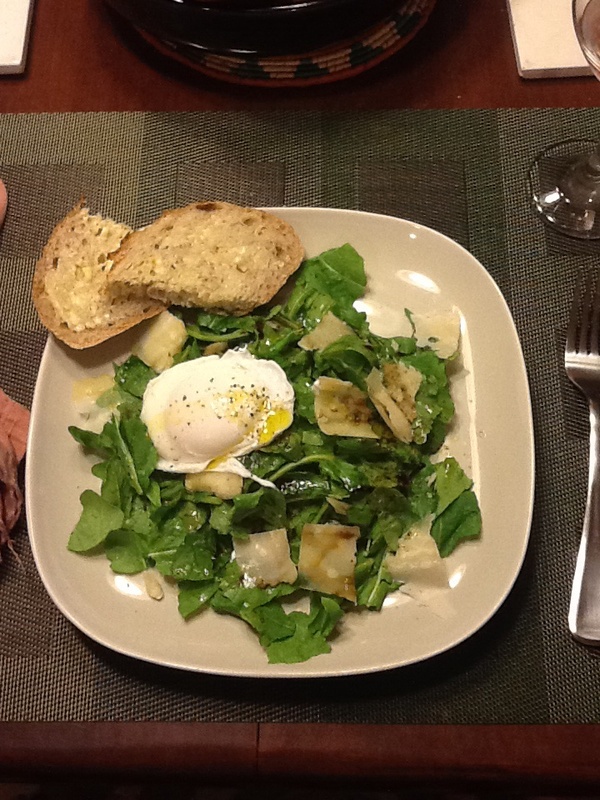 This week I got mizuna (although they tried to tell me it was arugula), chestnuts, sweet potato, radishes, basil, and a couple of persimmons. They also had Roselle but kindly swapped that for some more chestnuts. With some of Olde Hearthe’s excellent whole wheat levain, a little Reggiano, and a glass of cold vinho verde it made a lovely lunch.